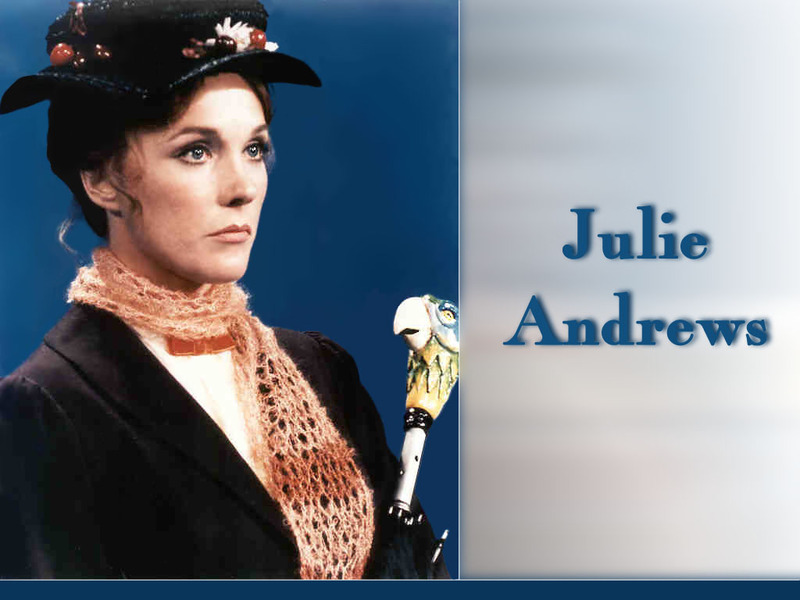 Julie Andrews as Mary Poppins. . HD Wallpaper and background images in the Julie Andrews club tagged: julie andrews musicals mary poppins wallpapers. This Julie Andrews wallpaper might contain 페도라, 펠트 모자, homburg, 스텟 슨, 트릴, 훔굼, 스테 트론, 트릴 비, 페도라 펠트 모자, 홈 부르 크, stetson, and trilby.